Bjorn Lomborg. Source of image: online version of WSJ article cited below. 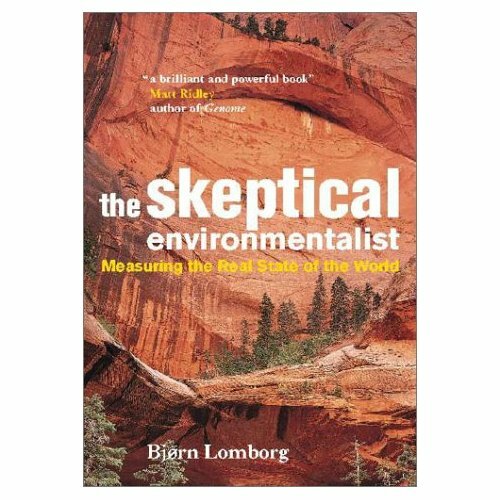 (p. A10) Bjorn Lomborg busted — and that is the only word for it — onto the world scene in 2001 with the publication of his book "The Skeptical Environmentalist." A one-time Greenpeace enthusiast, he’d originally planned to disprove those who said the environment was getting better. He failed. And to his credit, his book said so, supplying a damning critique of today’s environmental pessimism. Carefully researched, it offered endless statistics — from official sources such as the U.N. — showing that from biodiversity to global warming, there simply were no apocalypses in the offing. "Our history shows that we solve more problems than we create," he tells me. For his efforts, Mr. Lomborg was labeled a heretic by environmental groups — whose fundraising depends on scaring the jeepers out of the public — and became more hated by these alarmists than even (if possible) President Bush. Yet the experience left Mr. Lomborg with a taste for challenging conventional wisdom. 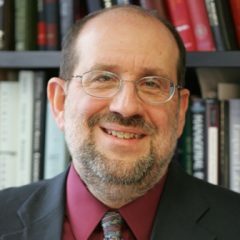 In 2004, he invited eight of the world’s top economists — including four Nobel Laureates — to Copenhagen, where they were asked to evaluate the world’s problems, think of the costs and efficiencies attached to solving each, and then produce a prioritized list of those most deserving of money. The well-publicized results (and let it be said here that Mr. Lomborg is no slouch when it comes to promoting himself and his work) were stunning. While the economists were from varying political stripes, they largely agreed. The numbers were just so compelling: $1 spent preventing HIV/AIDS would result in about $40 of social benefits, so the economists put it at the top of the list (followed by malnutrition, free trade and malaria). In contrast, $1 spent to abate global warming would result in only about two cents to 25 cents worth of good; so that project dropped to the bottom. "Most people, average people, when faced with these clear choices, would pick the $40-of-good project over others — that’s rational," says Mr. Lomborg. "The problem is that most people are simply presented with a menu of projects, with no prices and no quantities. What the Copenhagen Consensus was trying to do was put the slices and prices on a menu. And then require people to make choices." Easier said than done. As Mr. Lomborg explains, "It’s fine to ask economists to prioritize, but economists don’t run the world." . . .
Mr. Lomborg grins and says that before the event he briefed the ambassadors: "Several of them looked down the list and said ‘Wait, I want to put a No. 1 by each of these projects, they are all so important.’ And I had to say, ‘Yeah, uh, that’s exactly the point of this exercise — to make you not do that.’" So rank they did. And perhaps no surprise, their final list looked very similar to that of the wise economists. At the top were better health care, cleaner water, more schools and improved nutrition. At the bottom was . . . global warming. KIMBERLEY A. STRASSEL. "The Weekend Interview with Bjorn Lomborg; Get Your Priorities Right." The Wall Street Journal (Sat., July 8, 2006): A10.